Acceptance will be announced no later than Monday, November 26th, 2018 by 6pm. Directors will be emailed student acceptance information at that time. If you have questions regarding your school's acceptance or you did not get an email announcement, please contact your District Governor directly. To complete this form, you will need one PDF file containing all your school's "Acceptance and Code of Conduct" forms as well as one PDF file containing all your school's "Apparel Pre-Order" forms. This must be completed by December 14th. DO NOT MAIL YOUR FORMS. ​Keep them for your records. Forms and fees are due no later than Friday, December 14th, 2018. Students are required to pay an acceptance fee of $40 each. PLEASE SUBMIT ALL PAYMENTS FOR ONE SCHOOL AT ONE TIME. It is the director's responsibility to see that all payments are made on time and at once -- we should not receive multiple checks or online payments from parents individually. Online payments are strongly preferred, and can be made through CMEAonline.org. Please be sure to submit Acceptance Fees, not Audition Fees. If you would like to pay via check, one check should be sent per school for all fees. 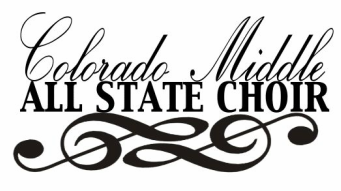 It should be made to CMEA, and sent to the address below. Payments must be postmarked by Friday, December 14th, 2018. Reminder: Checks should be payable to "CMEA"